For superior Amalfi Coast accommodation you can’t surpass Villa Cimbrone, a luxury Ravello hotel with 19 rooms set on the edge of a sheer cliff. Lord Grimthorpe (aka Ernest Beckett, designer of Big Ben) purchased the 18th century property in 1905 and set about turning the grounds into a flamboyant medieval style residence, with the help of his Italian valet, Nicolo Mansi. 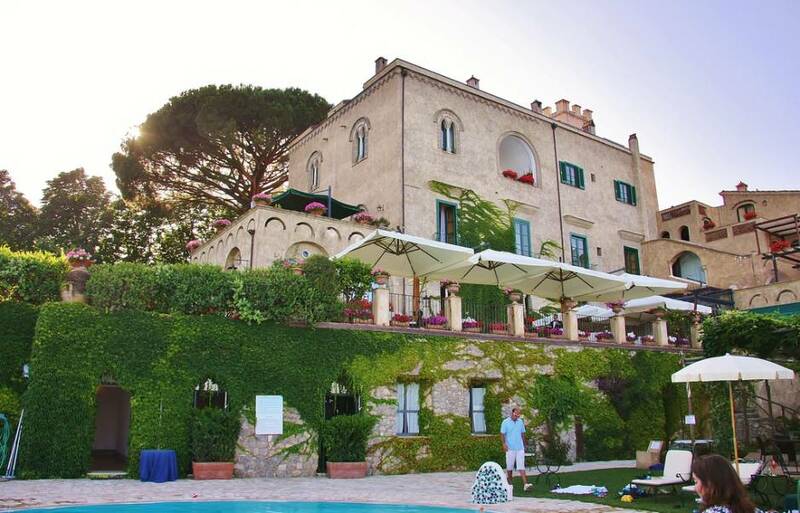 Villa Cimbrone is now a luxury Ravello hotel with room charges ranging from €300-700 a night depending on the season. Violet Trefusis, the illegitimate daughter of Lord Grimthorpe and Alice Keppel, visited Villa Cimbrone several times in the 1920’s with her lover, English botanist Vita Sackville-West. Their scandalous affair, depicted in Vita’s novel ‘Portrait of a Marriage’, caused headlines in London at the time. The couple have a ‘shrine’ dedicated to them when you first enter the villa with sepia-toned storyboards strung around a shady cloister, and Vita actually helped design the gardens. The extraordinary six hectare property is open daily to the public all year round for a small charge of around €5. 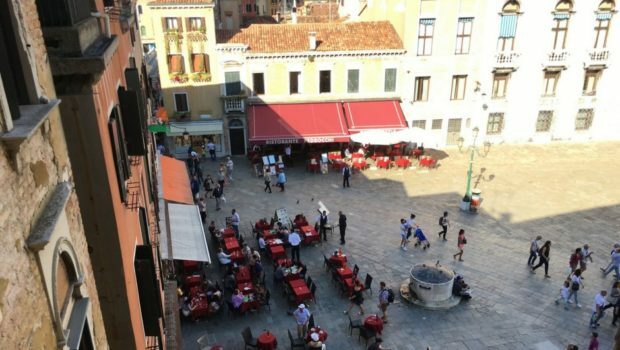 Highlights to look for include the Alley of Immensity, the Grotto of Venus, the cave of Eve and the lichen encrusted temple of Cerere, the god of fertility. 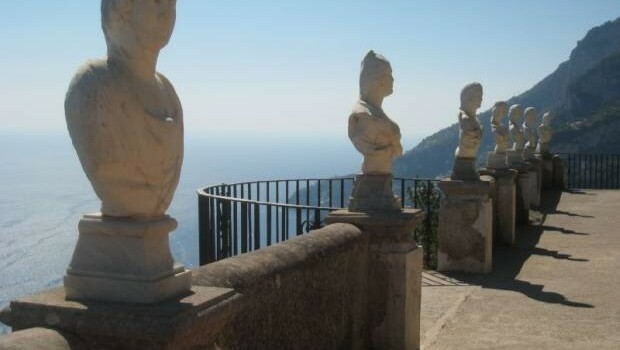 Lord Grimthorpe is said to have uplifted the medieval sculptures and roman columns from churches and palatial homes around Ravello. (He is actually buried in the garden under the Temple of Bacchus). 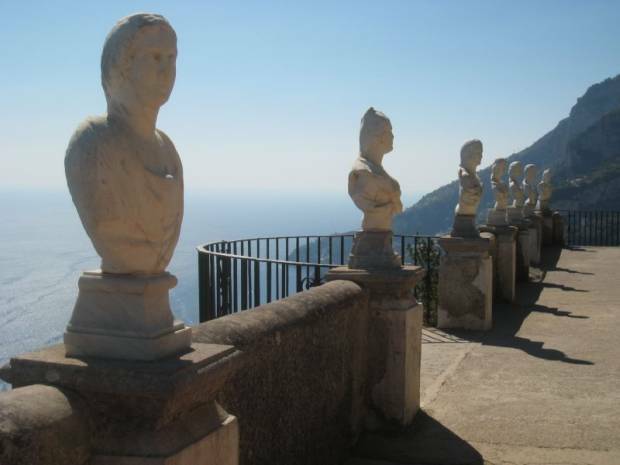 The pièce de résistance of Villa Cimbrone is the Terrace of Infinity, an aptly named balcony at the end of the Alley of Immensity, which juts a disarming 1,500 feet above the sea and has a row of alabaster busts adorning the edge. 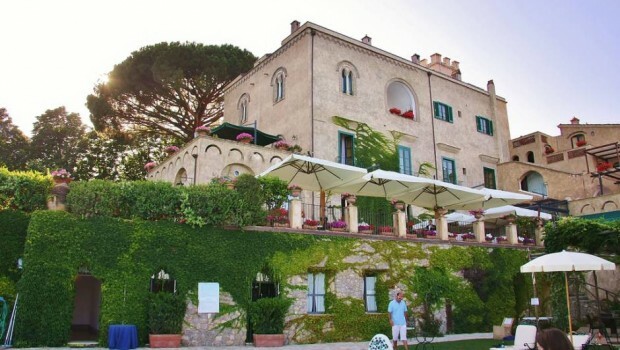 Greta Garbo vacationed at Villa Cimbrone in 1937 with her lover, Leopold Stokowski, to escape reporters. Just like visitors today they would have stood on the Terrace of Infinity, enjoying sublime views of the Amalfi Coast and the exclusivity of this unique Ravello hotel. 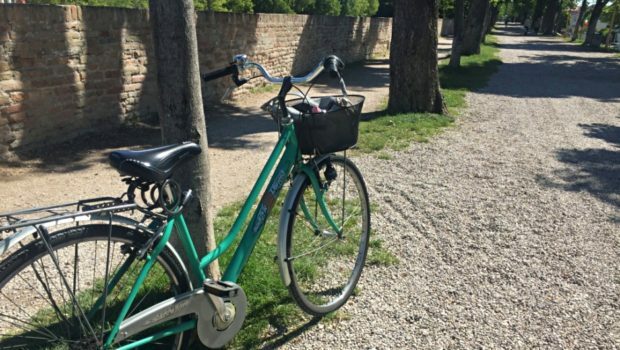 Visit Villa Cimbrone for more information.